"not impressed by the seat width"
We sat in seats 43K and 43H as they were 2 seats rather than 3 seat configuration. I was almost deafened by excessive noise from the aircraft engines? I was not impressed by the seat width or leg room and this aircraft performs poorly against Singapore Airlines for long haul. My blanket although in a sealed bag on opening was disgustingly dirty with food particles stuck to it! When I asked for another I was met with rudeness. We found the staff to be unhelpful. My entertainment system had to be rebooted. Our food was ok but there were no extra snacks during the flight. 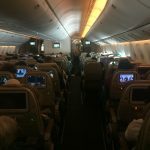 I was seriously disappointed with Etihad as I had thought from adverts that they were committed to great service and quality - but this is not the case in economy. Also the staff never checked seat belts once and I certainly didn't feel that in an emergency situation I would be relying on them for help which is standard in most airlines. I wouldn't book Etihad again in a hurry I will stick with Singapore. Amsterdam to Abu Dhabi and onward to Bangkok. Seats on first flight were very cramped. My first reaction was never again. I have a normal size( 185 ). The seat on the second part( 777) was reasonable. On return flight same again. However I flew from Abu Dhabi to Dusseldorf with Air Berlin. Etihad has a coop with Air Berlin. It should be forbidden by law! I could not move for 8.5 hours. 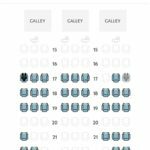 Seats are not even okay for a short charter flight. Next time it is Qatar Airways again for me. The seats were very small according to the flight hours. It was a 15 hours flight and seats were uncomfortable according to the flight hours. I fly MAN-BKK four times a year - that is 16 long haul flights a year and I just could not bear to use Etihad again. 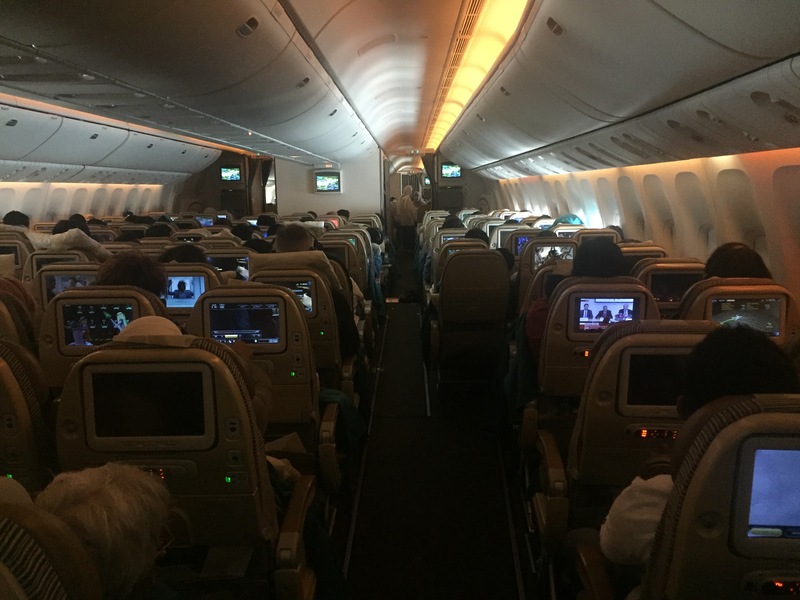 The seats pitch and width is terrible the 777's feel claustrophobic. I had 34C on my way back from KHI- YYZ. this seat is in the middle of the plane and isle seat not so bad but if someone is looking for a better seat I noticed that seat #40 is absolutely great seat with plenty of leg room and not close to washrooms. Avoid middle seats altogether as they are cramped and not wide enough for big people. 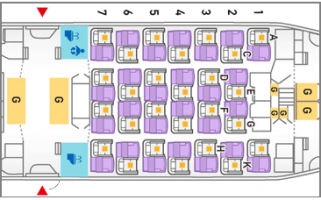 The other reviews here are right - basically the economy seat on the 777-300ER is both too narrow and close to the seat in front and the combination is deadly - if they took out about 20 seats and fixed either the pitch or the width it would be fine. A shame as the rest of the product - service food entertainment etc. is first class. Don't think I will be using them again in a hurry simply because of the seat. Abu Dhabi - Bangkok - Abu Dhabi seats uncomfortable both directions PTV screen not functioning most of the time. I'm pretty tall and it was pretty uncomfortable for an 8 hour journey. When the seats where reclined there was no way that anyone (regardless of waist size) could have a meal and that was confirmed by the Cabin Crew asking that you do not recline your seats during your meal. "cramped with little to no space"